So Your Teenager Wants Plastic Surgery: How Young is Too Young? While many teens enjoy a boost to their self-esteem after undergoing a successful procedure, there’s rarely a good reason to rush into plastic surgery. As a parent, you knew your child’s teenage years weren’t likely to be easy. You recall the tornado of emotions and insecurities that mired your own high school career, and no doubt those of your friends and siblings as well. Even still, you probably never expected your 15-year-old son or daughter to come looking for advice about which medical/cosmetic solutions they should follow in order to rid themselves of some perceived physical imperfection. A question like that can leave a parent in a pretty difficult position. Should you respond with a simple, “no way, not until you’ve at least gone through puberty”, or will a flat-out refusal seem callously dismissive of their concerns? There’s no easy answer. All you can really do is carefully consider the procedure in question in the context of your teen’s unique situation, learn as much about it as you can, and from there weigh the risks against the rewards. There could be any number of reasons why a teenager might feel insecure about specific features of their body, insecurities that might have been plaguing them for years. Maybe they want their big ears to stop sticking out so much, or wish their breasts had developed a little more voluptuously. At the same time, it’s just as possible they can’t quite put their finger on what’s bothering them about their appearance, and only know something about their profile isn’t right. For some kids it gets to the point where they can’t even stand looking at themselves in the mirror. That’s a real problem. Oftentimes these insecurities don’t just come from out of nowhere. While your teenage daughter might have recently turned sixteen and suddenly decided she just has to get a new nose, it’s more likely she’s feeling pressure from her peers (and certain media) to change things about her appearance that, until recently, didn’t really bother her much. Teenagers may also be hyper-aware of their looks because they’re constantly encountering peers whom they consider to be more attractive than themselves. These negative feelings can be further exacerbated because, as a teenager grows older they’re likely to start dating more, by extension possibly placing a higher premium on the importance of physical attractiveness and the role looks play in their overall happiness. Whatever their reasons, it’s no mystery plastic surgery is a hot topic among teens. According to the American Society for Plastic and Reconstructive Surgery (ASPS), in 2012 more than 236,000 cosmetic procedures were performed on teens under the age of nineteen. The figures haven’t changed much since then, with statistics for 2015 documenting that 226,000 such procedures were performed on patients between the ages of thirteen and nineteen. First of all, let’s accept that the most commonly performed cosmetic procedures among teens are not necessarily the most requested. While they might not appear on this list, don’t be surprised if your teen’s procedure of choice is breast augmentation or liposuction. The most common procedures are such because they not only reflect many teenage insecurities, but are also considered more age appropriate for individuals whose bodies are still developing. Regardless, some teenagers still undergo cosmetic procedures that are not recommended for their specific age group. Statistics published in 2015 by the American Society for Plastic and Reconstructive Surgery (ASPS), reveal that thousands of breast augmentations were included alongside the more conventional procedures individuals aged thirteen through nineteen had done that year. In fact, a full 7,840 teenage girls had breast augmentation work done in 2015. But don’t let these stats mislead you into thinking it’s all fine and dandy to insert implants into the still developing breasts of a 15-year-old girl. Regardless of the actions of certain unethical practitioners, many of the procedures teens are getting are absolutely not appropriate for kids. Teens, like adults, usually find renewed confidence and enjoy a general boost to their self-esteem after undergoing successful cosmetic procedures. Many teens are able to undergo certain surgeries with little to no side effects or complications, and in many instances, the procedures also correct some physical defect or health problem that might have plagued them both physically and emotionally for most of their young lives. Dr. Thomas Romo III, the Director of Facial Plastic Surgery at Lenox Hill Hospital in New York City, also acts as the Co-founder / President of the Little Baby Face Foundation (LBFF), an organization that provides free plastic surgery solutions to children with facial deformities. Since it’s inception, his organization has taken on everything from cleft lips to facial palsy. Dr. Romo has made it his mission to improve the quality of life of children who suffer these unfortunate conditions. So when the mother of a teen (who we’ll call Sara) recently contacted him via the LBFF, Dr. Romo was quick to lend her a sympathetic ear. Sara had suffered from substantial bullying on account of her nose, which her peers considered too large and uneven. By the time she turned fifteen the bullying had become so overwhelming that Sara asked her mother to homeschool her. Her mother, not wanting to see her poor daughter suffer any longer, agreed, and for the next three years Sara was homeschooled. After learning about Sara’s struggle, Dr. Romo agreed to take on her case and shortly thereafter diagnosed the girl with hemifacial microsomia, the condition which had caused her face to be asymmetrical and resulted in her uneven nose. Upon landing upon the correct prognosis, Dr. Romo was able to correct the problem soon thereafter, leaving Sara with a new nose and, arguably just as important if not more so, with her renewed confidence intact. Of course, teens don’t need to be diagnosed with a medical condition to take advantage of the life-changing benefits resulting from plastic surgery. One sixteen year old athlete, who we’ll call Amy, suffered from a nose that was rendered deformed after repeatedly being broken while playing soccer, basketball, and softball. “Everyone always made fun of me,” Amy says today, unwittingly highlighting the core concern of many teens who seek plastic surgery. A simple rhinoplasty operation was all she needed to repair her nose and get it back to looking “normal”. In short, plastic surgery isn’t always about looking younger or achieving some perceived physical perfection. The bitter truth of it all is that many teens suffer from facial blemishes that cause them serious physical and/or emotional pain. Perhaps they have scars from accidents that draw negative attention from their peers. They could have oversized breasts that result in significant back problems. In these and other, similar situations, plastic surgery may well be the right choice for them. First and foremost, teens should think carefully about why they want any given surgery. Teens approaching plastic surgery with a healthy outlook do so because they’re getting this work done for themselves, not for a boyfriend, girlfriend or anyone else. Nobody should ever go for plastic surgery just because their friends are or because somebody at school suggested they should. The only non-medical reason to consider getting cosmetic surgery work done is because you believe it will help you live a happier life. At the same time, teens shouldn’t expect these surgeries to solve everything. A breast reduction may solve back and breathing problems, a rhinoplasty may help you to feel more confident and comfortable, but neither of these surgeries will make you more popular. If there are other factors in your life that make you feel insecure or unhappy, they need to be considered and addressed on their own, separately from plastic surgery. Finally, teens should remember that things may change sooner than they think and the features that used to plague them will suddenly no longer feel like such a big deal. What’s more, teen bodies are still developing, making it hard to tell what a pre or post surgery face will look like in five years time. There are psychological factors that could influence a teens desire for plastic surgery, but they should be addressed separately. Conditions like Body Dysmorphic Disorder (BDD) are common among teenagers, especially teenage girls. Of course, not every girl who is concerned about her appearance is necessarily suffering from BDD. It’s often difficult to distinguish between a developmentally appropriate desire to fit in with one’s peers and a concern for one’s appearance that borders on obsession. Many plastic surgeons require teenagers to undergo psychological screening to determine their maturity level and look for any signs indicating a teen patient’s decision may have been affected by a psychological condition. A 2012 study published in Body Image surveyed women aged eighteen to thirty-five years and found, that among these women, the desire for liposuction was directly related to their BDD issues. Some 20% of study participants were determined to be suffering from an eating disorder. While this study primarily involved non-teenaged women, it speaks to the influence such conditions can have on these types of decisions. Also, just because you’re not overly concerned your child might be suffering from BDD, it doesn’t mean it’s automatically time to ring up your nearest plastic surgeon either. You might want to keep in mind that teenagers are not generally known for their stellar decision making. Meanwhile another recent study, this one first published in the Journal of the American College of Surgeons, focused on comprehension and risk assessment among high school students. It concluded by determining that teenagers lacked the ability shared by most adults to understand the risks associated with dangerous behaviors. This mentality could easily carry over to plastic surgery. In essence, make sure that you and your teen understand the risks involved and the impact those risks could have on your teen’s overall quality of life. In light of the above, your first question should more appropriately be, “Is my teen mature enough to be making important life decisions?” Assuming that’s the case, bear in mind that there are also physical considerations that can determine the appropriate age for specific surgeries. Breast augmentation and liposuction are considered inappropriate for teens not only because of the risks involved, but because many teenagers are still gaining weight, with their bodies likely to continue changing, potentially negating the need for such a surgery. Growth charts indicate that the average woman gains weight between the ages of eighteen and twenty-one, indicating teens would do well to wait until they’re in their early twenties before deciding on making changes that are heavily influenced by weight gain. Not all cosmetic surgeries are influenced by weight gain, but they are subject to their own age restrictions. Keep in mind that the following age ranges are general guidelines based on when certain parts of the body finish developing, potential health risks, and other procedure specific concerns. 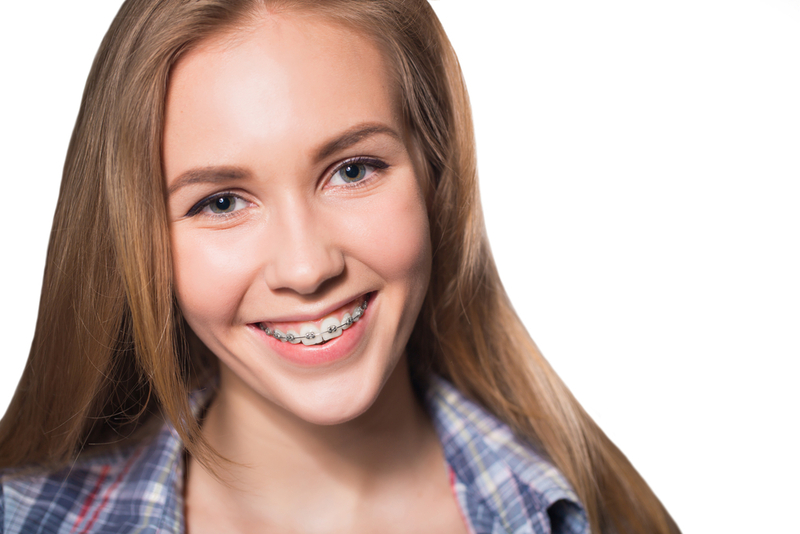 You should always consult a certified plastic surgeon about your teen’s specific case when making a decision. Rhinoplasty, recommended minimum age: 16 for girls and 17 for boys. While the cartilage in the nose never stops growing, the bone tends to reach adult size shortly after puberty. Otoplasty, recommended minimum age: 6 years old regardless of gender. Cartilage in ears will also continue to grow, but protruding ears are typically caused by defects that are easily detected and rectified at this age. Still, in the absence of any major health issues, it may be advisable to wait until the child is a little older and allow them to make their own informed decision at that time. Chin augmentation, recommended minimum age: 12-20 years old. This procedure is less definite in when it can or should be performed. Any ethical plastic surgeon will tell you if they feel it’s advisable that you wait. Breast reduction, recommended minimum age: 15 – 16 years old. Female breasts may continue to develop after 16 years of age. Determining exactly when to perform this surgery should be based upon careful consideration of both the potential health complications stemming from exceptionally large breasts and any risks posed by the surgery itself. There’s rarely a good reason to rush into plastic surgery. According to a 2012 study published in Body Image, many teens experienced improved body image and self-confidence as they reached adulthood regardless of whether or not they underwent plastic surgery. While this doesn’t mean you absolutely have to wait (and you definitely should not whenever legitimate health issues are concerned), it does suggest that there’s little to lose and much to gain by carefully considering all options before permitting your teen to go under the knife. Whether they get the surgery in a month or a year won’t matter in a decade from now, while at the same time it might encourage them find other ways to deal with their low self-esteem issues.